Family Learning Nights are special after-hours events that invite parents and preschool-aged children to learn together. Each Family Learning Night is themed around an important early learning topic, such as literacy, math or healthy eating. The events begin with parents and children meeting and mingling around a set of creative activity stations. While the children have fun learning at the stations, the parents get tips and strategies to continue the learning at home. In the second half of the event, the children gather for a special educator-facilitated program while the parents meet nearby for a lesson and discussion on the night’s topic. Throughout the year, the museum hosts special workshops that invite parents and children to work together to make a special project that wouldn’t necessarily be as easy to make at home. These fun projects allow children to stretch their skills under the careful guidance of their parent or caregiver. 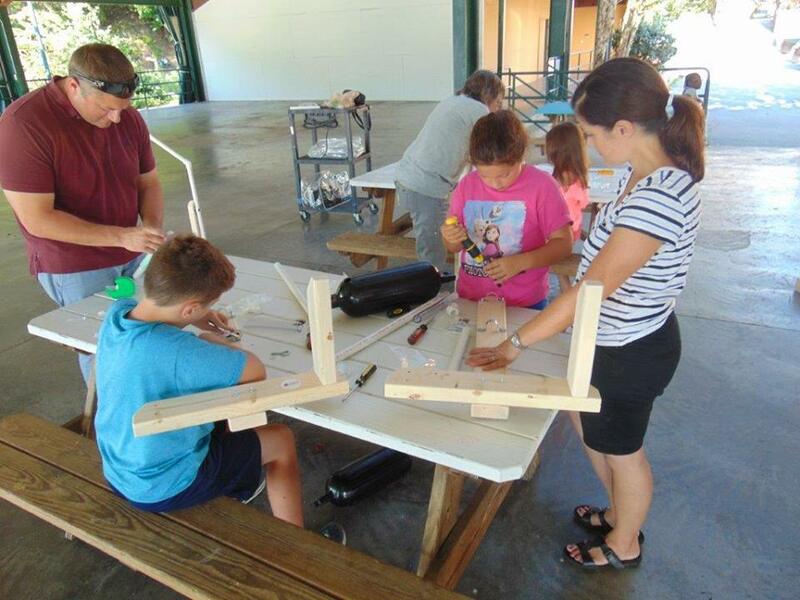 Examples of past workshops include Rocket Launcher Workshops in which families built wooden stomp rocket launchers, our annual Gingerbread House decorating workshop, and Electric Lab in which participants build electric bug toys. Our educators are always working on exciting new ideas, check the calendar to see what workshop is coming up next!